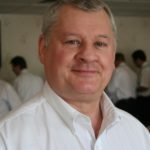 Hello there, my name is Howard Shelley and together with my wife Lois, I own and operate Bone-Dry (Mercia) Organic Carpet Cleaning operating in Coventry, Stratford Upon Avon and Leamington Spa among others (for a full list of the areas we operate inplease see the list at the foot of this page). 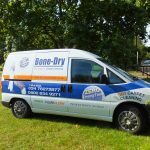 Bone-Dry (Mercia) is a Coventry based, family run business, which endeavours to give the best possible service to all of its customers. 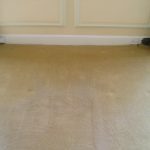 We believe that we are the best Carpet Cleaners operating the best DRY Organic Extraction Cleaning system. 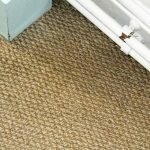 The key word in our process is DRY which, we believe, makes it the most environmentally friendly way to clean your carpets. Water Conservation: Our process uses no water, therefore we have no large amounts of dirty water to dispose of. 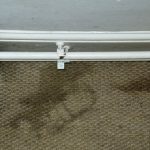 With traditional wet extraction methods, all the water in the carpet may not be extracted, which can lead to a damp, unhealthy and occasionally smelly environment. Biodegradability: The Host compound that we use in our cleaning process is 98.6% organic. Energy Savings: Using our process means no water to heat, no need to use dryers, no de-humidifiers, and no downtime. 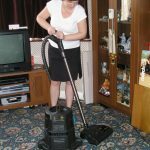 The disruption to your household during the clean is absolutely minimal, you can carry on life pretty much as normal with as little furniture moved as you wish, and you can use your carpets immediately. Zero Drying Time: Using no water means that your carpets are dry and ready for use as soon as the cleaning task is complete. 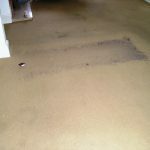 As our system uses no water it is entirely safe for all types of carpet. 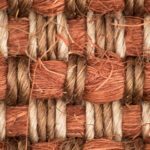 This includes wool, synthetic fibres and natural materials such as sisal, coir and seagrass. It is generally accepted within the industry that approximately 85% of the dirt in your carpet is dry, and can therefore be removed with our powerful vacuum cleaner. 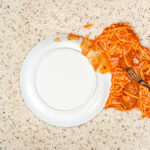 The remaining 15% of dirt is considered to be oily or greasy and cannot be removed by vacuuming. 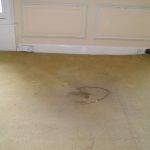 We then individually remove any noticeable marks, before we apply our organic compound "sponges" and clean the whole carpet. These sponges are brushed into the carpet, where they will loosen, and then absorb the greasy, oily dirt. The sponges are then removed, together with the dirt that they have absorbed. Having completed the clean, we then repeat the vacuuming so as to remove any stray sponges that may have spread onto adjacent areas, skirting boards etc; we leave no mess! At this point we would apply the Intec Protection if it is required. Please go to the home page so that you can watch the video and see how efficient our system is. 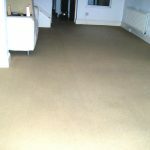 If you would like a free quote, give us a ring on FREEPHONE 0800 634 9271 . Operator Towns: Coventry, Kenilworth, Warwick, Leamington Spa, Stratford-Upon-Avon, Evesham, Broadway, All Surrounding Towns and Villages, as far South as Cirencester, as far West as Worcester.